As chaos reigns, one person is chosen to become spiritually prepared — the one capable of stopping the bloodletting, instilling brotherhood among all religions, establishing international goodwill and forging peace for humankind. 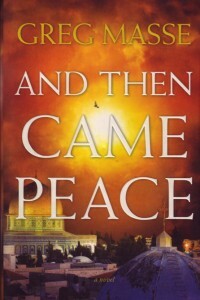 Peace finally seems within reach — until an assassin’s sudden, violent attack in Jerusalem’s Old City thrusts Christians, Jews and Muslims into ever-escalating acts of revenge and terrorism unlike anything seen before. When disciples of each culture mete out their own justice, the world is paralyzed by the news of airplanes falling from the sky, bombs leveling ancient holy sites and nations teetering on the edge of total global war. Hospitalized and near death, he must embrace a journey toward enlightenment. During his strange dream encounters with the prophets of our past, the reluctant hero learns that the world’s religions share many universal beliefs and truths, and that these should serve humankind as forces of unity, rather than of division. With his enlightenment complete and armed with powerful knowledge, the humbled messenger must accept his dangerous destiny and attempt to change humankind.